David McCooey is a prize-winning critic and poet. He is the author of Artful Histories: Modern Australian Autobiography (CUP 1996/2009). His essays on life writing and poetry have appeared in numerous books (such as The Cambridge History of Australian Literature) and scholarly journals. He co-edited, with Maria Takolander, The Limits of Life Writing (2018), and he was deputy general editor of The Literature of Australia (Norton, 2009). His latest poetry collection is Star Struck (UWAP, 2016). David McCooey is a prize-winning critic and a poet. His essays on poetry and life writing have appeared in numerous books and scholarly journals, including The Cambridge History of Australian Literature (2009), The Cambridge Companion to Australian Literature (2010), Criticism and Biography. He is the author of Artful Histories: Modern Australian Autobiography (CUP, 1996/2009), which won a NSW Premier’s Literary Award. He is the deputy general editor of the prize-winning Macquarie PEN Anthology of Australian Literature (Allen & Unwin, 2009), which was published internationally by Norton as The Literature of Australia (2009). 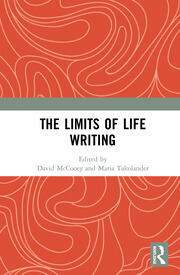 He is the co-editor, with Maria Takolander, of The Limits of Life Writing (Routledge, 2018). He is also a prize-winning poet. His latest collection of poems is Star Struck (UWAP, 2016). He is a professor of writing and literature at Deakin University in Geelong, Victoria, where he lives. Life writing, poetry, Australian literature, creative writing, digital literature, audio poetry.